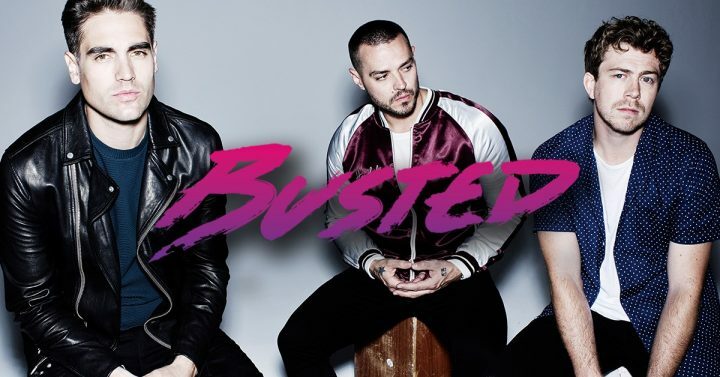 School’s out and Busted are back, with an all-new grown up look and sound, although I’m pleased to see that Charlie’s eyebrows are still desperately trying to be the fourth member of the band. The two-time Brit Award-winning trio say they reunited in the studio almost by accident, but it was a happy one because now they have a new album and a UK Headline tour. Is it wrong that I find these boys and their #mood rather easy on the eye? Take the kids along to kick off half-term and try to control yourself. It’s not cool to drool. Hands up who wants a front-row seat at Lambing Live? The Big Sheep‘s maternity wing isn’t quite at NHS crisis levels, but it’s pretty packed full of expectant ewes. If woolly lambs aren’t you thing, (well, I have to ask: are you human? ), then there is loads more to entertain you, since this is officially Devon’s Large Attraction of the Year. Don’t forget the camera. Let’s face it, the chances of us escaping a rainy day or seven are zilch, so worth having this one bookmarked for when the day inevitably comes. It’s Tentacles Week at the National Marine Aquarium, which means lots of, um, tentacley stuff. Meet the Aquarium’s slippery friends, Oddjob and Miss Squishy and embark on a Tentacle Trail. There will be arts & crafts and plenty of opportunity to learn how these weird and wonderful creatures survive. Is now the moment to confess I have an irrational fear of these things? *shudder*. You’ve got to love the National Trust during the school holidays, for capturing little imaginations and for the cake. This Feb, kids can march past a moldiwarpe (nope, me neither), catch a coney (*goes to google) and hunt for a herinacius (I give up), while going on a beast walk, all amidst the dramatic backdrop of the Tavy valley and the gorgeous Buckland Abbey itself. I’m yet to explore this fascinating-sounding place but I’m preparing to bundle up the mudlet and get there pronto. Part historical exhibit, part working vintage fairground, it’s a colourful spectacle of yesteryear, complete with working retro rides. I just need to know whether there is candy floss, but i’m on the case, Muddies! As a twist for half term, kids can dress as their favourite space character and get in free and a new ride, Mighty Moonrocket blasts off. There will be face painting for wannabe ET’s and a chance to meet aliens and to visit the Space Lab. How much fun? Lots happening all week at this dramatic castle overlooking the Teign Gorge, currently undergoing a dramatic transformation. From bushcraft to bug hotel and bird box building, the cutest sounding of all is the Dartmoor Fairies Trail. Pick up the necessary gubbins from reception and follow it around the gardens, to collect a prize at the end. Kids badgering you to buy them a pet? Running out of excuses? Here’s a solution – it’s Adopt an Animal week at Wildwood Escot. There will be animal talks every day, and a chance to meet the resident otters and red squirrels. But if you don’t fancy ‘owning’ something furry, then you can get involved in a creepy crawly welly walk. There’s a maze too; that’s got to buy you at least ten minutes of peace and quiet, no? Fresh air + the chance to run wild = early to bed and early doors on the G&T’s. Bobble hats are obligatory here. You need to get on with it though, because the offer ends on 10 Feb. You can choose from a high wire tree top adventure, zip-trekking or a segway experience. I’ll er, meet you in the cafe, then. The Treetop Junior experience is aimed at children aged 6-12, but visit website for exact restrictions. Now this one is right up my street. Book up and boot out the kids for a day of award-winning fun, creative cooking at Exeter Cathedral School. Right next to the Cathedral in the city centre, it means you can enjoy a city break for the day, which also happens to be Valentines, hurrah! All being well, the kids will cook up pancakes and fresh bakes and you’ll get your fix of prosecco and child-free bimbling round the shops. No washing up, either. What’s not to love? Activities and outdoor fun for all the family within the woodlands of the Deer Park at Dartington. Bring a jam jar to take part in winter lantern-making, or wellies for a treasure hunt. The Deer Park is a gorgeous historic site being brought back to life as part of a conservation project. It’s a fascinating place to wander. Creative play always sounds like a good idea, doesn’t it? But the reality is that you often end up peeling remnants off the house for weeks to come. Give the kitchen table a rest and let a pro take the strain, with local artist Claire Packer from the Wet Felting Company, located within Buckland Abbey, as she transforms wool into crazy works of art this half term. The stars of children’s tv hit SPOTBOTS are setting sail on the English Riviera during the February half term, bringing to life one of our favourite children’s novels, with a lively twist. So if your little monsters are wannabe pirates or mermaids, be prepared for a breezy swashbuckling time on the high seas. The show promises shanty’s, cheering, booing, puppets, slapstick, colourful costumes and maybe even a monkey or two, apparently. 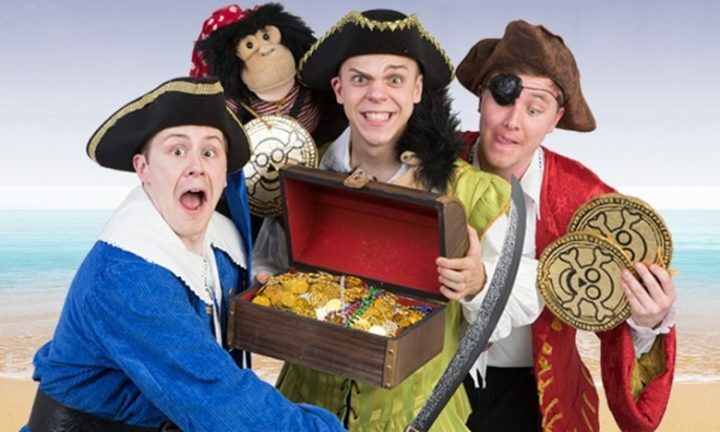 Staying with the pirate theme, if you want to recreate the show’s best bits (oh come on, what do you mean, no? ), it’s worth knowing that Brixham’s Golden Hind relaunches in time for half term. Step on board this full-size replica of one of the most iconic ships from the age of exploration. This is history at its most fun, where you can walk the plank, explore the cramped living conditions the ships crew would have lived in on the high seas and observe the views from the poopdeck. And when you’re done, you can retreat up the hill to the Curious Kitchen for a family treat. Read my review here. Got a budding backstage thespian in the famalam? Get them to the theatre! This one-off session is designed to give young people the chance to find out about RADA’s Technical Theatre and Stage Management course. Find out what it’s like to train as a theatre technician and explore elements of sound, lighting and props. Run by a tutor from the Academy, it’s also a great opportunity to ask lots of questions about life at drama school. There’s a definite nautical theme being rolled out in Torbay. 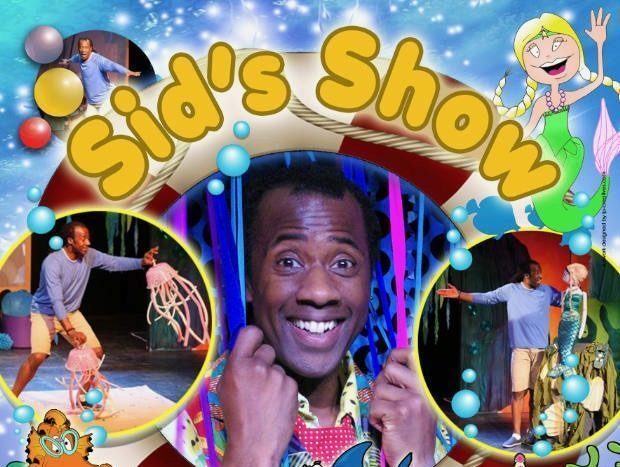 Another CBeebies star is coming to South Devon to entertain your brood. Following on from the success of Sid’s Show, this time we venture into a fish tank, for a colourful underwater adventure. What is a mermaid doing with Sid’s remote control and can he make friends with a shark? For the +2’s it’s one to book as school bags get packed once again and half term draws to a close. But be quick, there’s only a few tickets left!